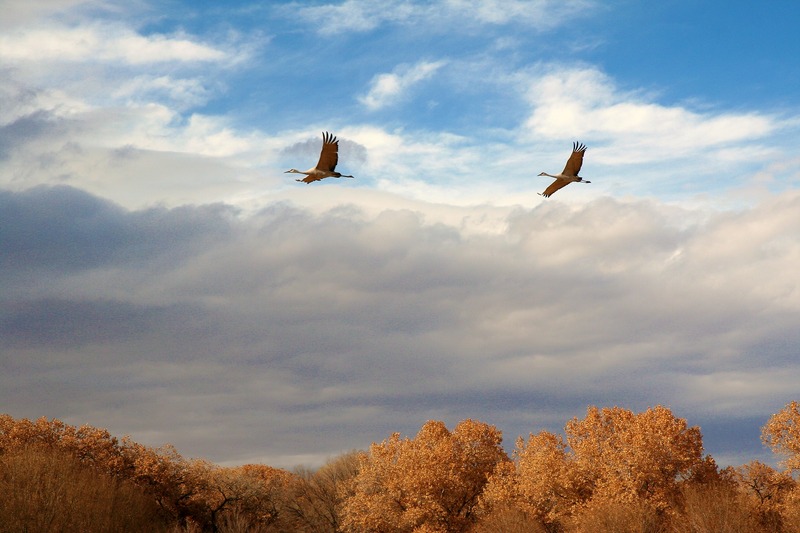 It’s good to see our Sandhill friends again in your photos. We often see them in the fields and then flying once we get to close on our rides. Love to watch and hear them. “too” close, not “to” close. Guess it was too earlier this morning to type! So beautiful! They are usually a couple hundred feet up when they pass through here. I’m glad you get to see them close up. The top shot is wonderful! Great shots. You should submit the bottom one to whatbird.com for their collection – seriously. Wow – I guess that courtship ritual of theirs is really working! Beautiful pictures of them in full stretch flight! I used to live near a place with a sanctuary for them. 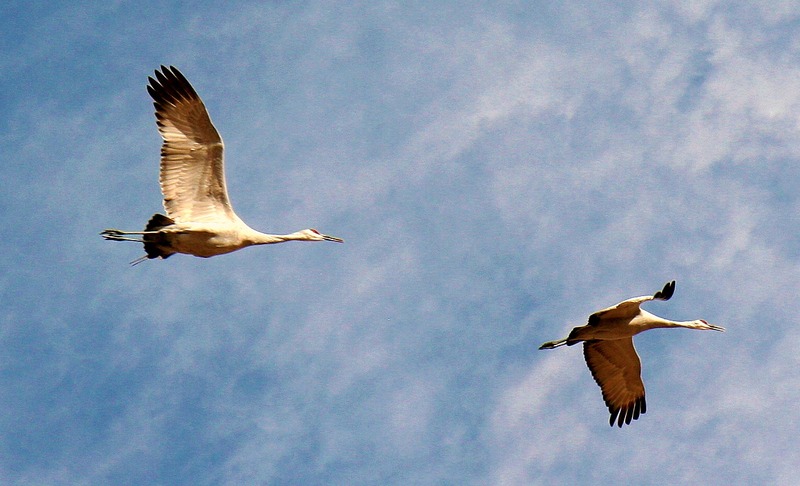 They are so lovely as they make their way across the sky. No wonder they look so prehistoric. I really like learning the collective nouns. Beautiful photos. Fascinating. I learned something new today! Great pics. I love reading your blog, I learn something new more often than not. 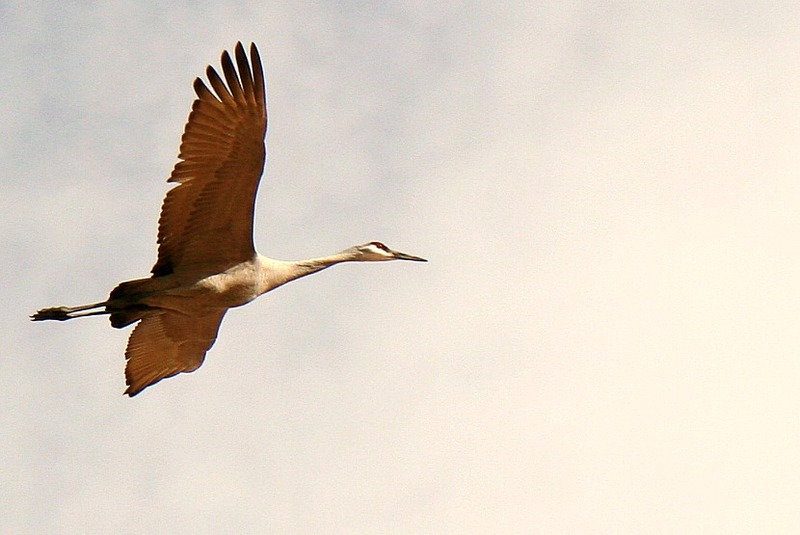 Fascinating, about the age of cranekind! I had no idea they were so old….. When my better half took me to the golf course to see the cranes, a couple of years ago, some members of one family were reddish brown, and some were white and gray. I assumed it was a maturity thing, until I read about the staining from the earth….. But what I read then said nothing about them being ancient. A fascinating post – thank you!!! Oh man, you’re killing me. Love the sandhills, but they just don’t come this way in NE Kansas. Although, we did see 1 of them with a flock of Canada Geese on Sunday. He must have been lost. Harland said it was only the 2nd one he’s ever seen here in his life. How lucky you are to see these beautiful birds personally!